Lunchtime- first stop on our Thanet crawl - but we liked it so much we stayed for the whole session. All beers in very good condition. Plenty of chatty regulars. Our group of 7 made the pub pretty much full at times. Old Dairy - Blue Top 4.80 Hints of lavender? Definitely flowery notes. Goody Ales - Bleangate Brewery - Good Lord 5.00 Smoky. Burning Sky - Plateau 3.50 Crisp and crystal clear. Timothy Taylor - Boltmaker (formerly Best Bitter) 4.00 Good honest pint. Bexley - Bexley's Own Beer 4.20 Ok - not so flavourful as the Boltmaker. Packed out and 7 ales on. Last pub on lunchtime beerabout. Wantsum - Golgotha 5.50 Fine pint. Tonbridge - India Pale Ale 4.80 Quite cold but perfectly acceptable. Flattish. Not my sort of beer. The pub is found in Westgate-on-Sea, Kent, CT8 8RE. Another of the new generation of Micropubs. This single storey building is situated close to Westgate-on-Sea railway station in an alleyway between the Carlton Cinema and Coral's bookmakers. The pub has an almost complete collection of Good Beer Guides from 1975 onwards. 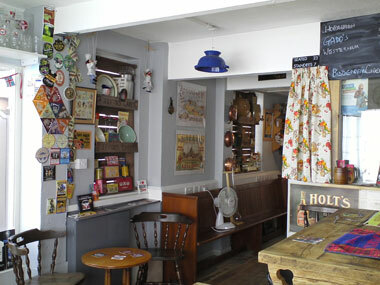 A mixture of breweriana and kitchenalia adorn the walls and lampshades are made from upside-down colanders. 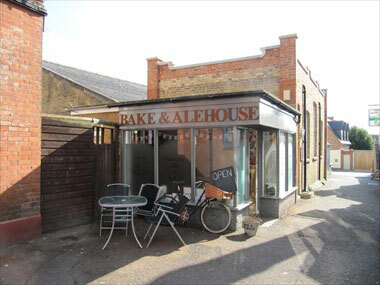 Usually 4 real ales on sale served from a cooled cellar room in the corner which has a viewing window. 2014 Thanet CAMRA Branch Pub of the Year. Changed hands in May 2016 as the original owners Pete and Gwyneth retired from the business. Local CAMRA branch Micropub of the Year 2019 and overall local CAMRA branch Pub of the Year 2019 too. We have visited this pub 51 times, seen 103 different beers and tried 70 of them.